For the second month in a row, the numbers of visitors to Steampunk Scholar exceeded the past record, and when I look at the monthly stats over the past year, I'm seeing a strong spike, which brings a smile to my face. Thanks again to all who come by, and especially to those who come back. The growth of the blog was evident during my visit to San Francisco for the Nova Albion Steampunk Exhibition, where a number of you came up and introduced yourselves. It was cool to make contact in the real world, and I know I owe a post on Kim Newman's Anno Dracula to one of you (met many people and can't recall all the names) as well as my standard play-by-play of the convention with photographs. All these are yet to come, but I'm backlogged like a man without bran, so thanks to all for your patience! 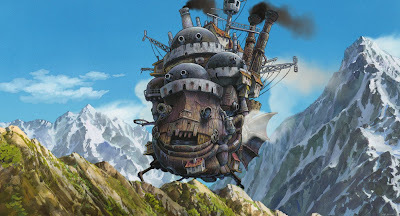 Speaking of my backlog, I'm re-watching Howl's Moving Castle to do a better job of the post for those who have been waiting for it. I'd rather do it right the first time than phone it in. I'm feeling sort of ambivalent about my voting widget, which allows my readers some say in what comes next, but doesn't always line up with what I'm most ready to write. Would appreciate feedback on that, but am leaning towards just going back to writing whatever the hell I feel like, maybe having a "reader's choice" once a month. Speaking of reading, I finished a number of books this month: K.W. Jeter's seminal steampunk work, Morlock Night, which had a surprising amount of Britannia + Christendom = the hope of the world as a theme; James Blaylock's Digging Leviathan, which was like reading Tom Hanks in The Burbs if it starred Jake von Slatt and was directed by the Cohen Brothers; the self-published Chenda and the Airship Brofman by Emilie P. Bush; Kenneth Oppel's Canadian steampunk Skybreaker which was a hell of a page turner as well as homage to a number of classic adventure books and films; and Philip Reeve's Larklight, which read like a great Spelljammer campaign without the elves and dwarves. Speaking of elves and dwarves, I finished up my Steampunk Tolkien roleplaying campaign, Steam Lords. It came to a very satisfying conclusion, and while it was a great thought experiment on the steampunk aesthetic, I'm glad to be hanging up my DM hat for awhile. Speaking of DM's hats, I watched the movie Franklyn this month, which uses a steampunk-styled world as the mental landscape of an insane person. Not sure if that says more about steampunk or my state of mind after being a DM for nearly thirty years. New steampunk acquisitions included a dramatized audio version of James Gurney's Dinotopia: The World Beneath; The Dream of Perpetual Motion by Dexter Palmer, a steampunk riff on Shakespeare's The Tempest which is available in audiobook as well; Not Less Than Gods by the late Kage Baker; Changeless by Gail Carriger; Napoleon Concerto by Mark Mellon; Ghosts of Manhattan by George Mann (Thanks to Cory Gross for passing that along! ); Full Metal Alchemist The Movie: Conquerer of Shamballa; and The Dark Volume, the sequel to The Glass Books of the Dream Eaters by Gordon Dahlquist. I'm re-reading Glass Books before I move onto Dark Volume because there are some key moments in that book related to my chapter for that book on Fairy Tale and Fantasy, "Steampunk: Technofantasies in a neo-Victorian retrofuture." I should also mention that Cherie Priest's Boneshaker is now available in audiobook formats. Baker, Kage. The Women of Nell Gwynne's. Burton: Subterranean Press, 2009. Mann, George. Ghosts of Manhattan. Amherst: Pyr, 2010. Reeve, Philip. Predator's Gold. New York: Harper Collins, 2006. I saw Franklyn recently too. I loved the look of the otherworld, it was gorgeous. 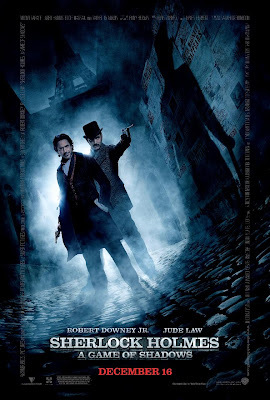 Though I enjoyed the movie I found myself wishing it had been a steampunk fantasy adventure instead of the mildly odd story that it was. I liked it as the mildly odd story, but I too would have preferred a fully steampunk fantasy. So... ya gonna review Chenda? Yes ma'am - check the upcoming posts on the side: it's in the queue.